The 1199C Healthcare Workers Union is the largest labor union in Philadelphia. One member benefit is the Training and Upgrade Fund - a free continuing educational resource located in Center City. Over the course of a year, my team and I worked with the Training Fund to understand the complex communication networks and relationships between the Training Fund and its union membership. 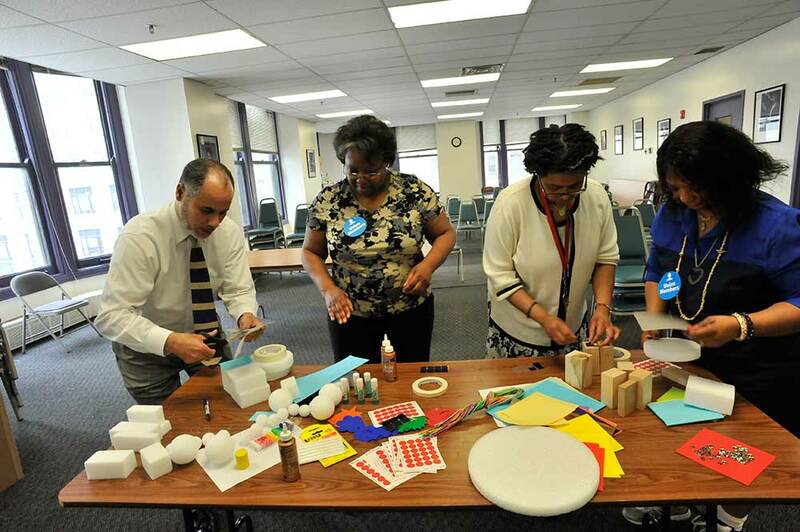 Through a series of co-creative workshops and contextual interviews with various stakeholders and site visits to hospitals, nursing homes and the union hall itself, we outlined barriers to and issues surrounding the union members returning to the classroom. 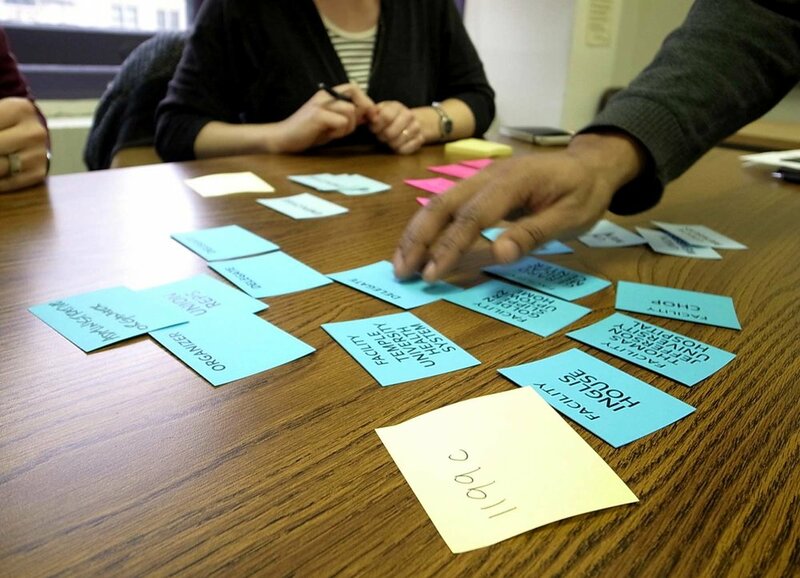 To facilitate our work with the Training Fund, we used methods such as creating personas, role-playing scenarios, building low-fidelity prototypes, as well as developing a series of custom design tools and boundary objects to use with our clients and collaborators. 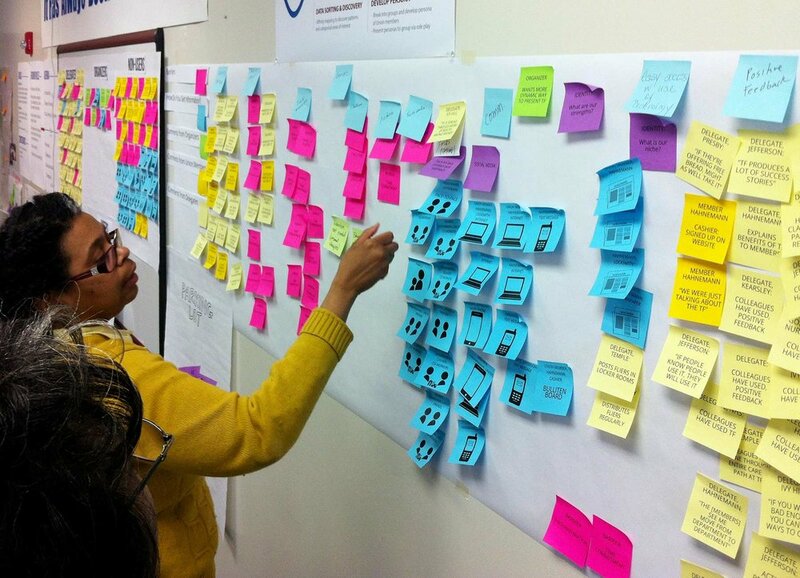 Many of these tools were designed to include relevant stakeholder participation in the design process. Examples include an oversized die, which served as an inanimate "devil's advocate" tool, which was used in decision-making, as well as many visualizations such as a context map used to organize brainstormed ideas. The more we embedded ourselves into the culture of the Training Fund, the more we were able to customize these tools to the specific needs of the people we worked with.